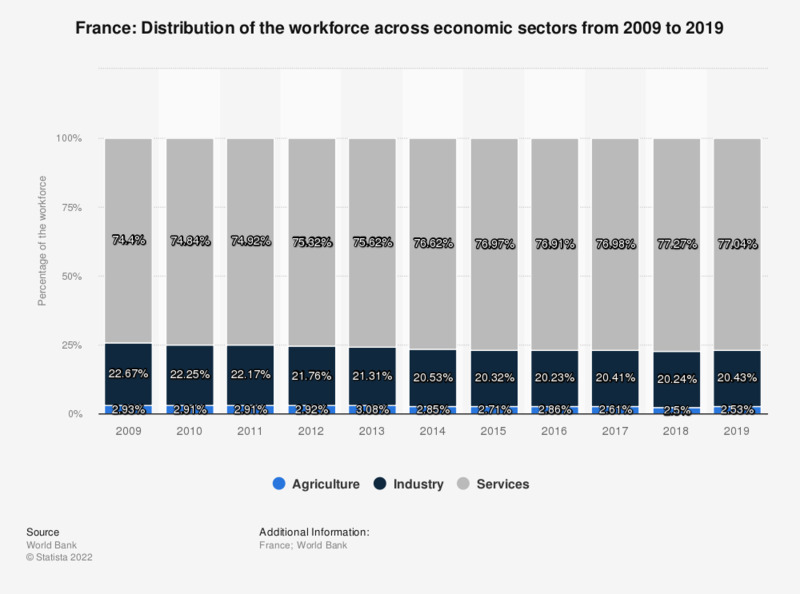 The statistic shows the distribution of the workforce across economic sectors in France from 2007 to 2017. In 2017, 2.87 percent of the workforce were employed in agriculture, and 76.76 percent in services. The source does not provide conclusive data for the manufacturing sector, for the year 2016. How much time does the IT department spend on the following activities? When did you start collecting information or gathering input to inform your purchase?